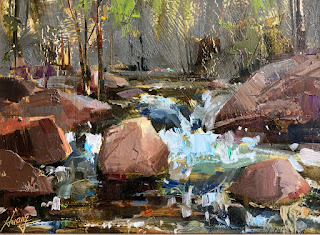 qiang-huang, a daily painter: "Morning at Oak Creek"
Finally we got some sunshine in Sedona. I did this plein air painting by the beautiful Oak Creek. I was very fortunate. This painting has won me an award. This painting is available. If you are interested to collect it. please let me know.